What makes a belt better than a chain and vice versa? The answer is nothing. Belts are no better than chains, it all depends what your specific needs for your project are and what product you are trying to move. When choosing a belting material these need to be taken into consideration. Each material has pros and cons making them more suitable for some applications rather than others. One nice feature of using a belt is that they are able to be more tightly tensioned on the spindle making them more accurate. If you are moving small or delicate parts from one place to the next a belted conveyor would be good because of their small transfer abilities make damaging products less likely. They also can move at very high speeds while still keeping their precision. Belted conveyors are also great if you have a more specialized application because they offer more customization options. They allow you to do such things as backlighting them, make them a suction belt, magnetizing them, and much more. Finally, belt conveyors are often cleaner than chain conveyors because they accumulate less debris. This makes belts a good choice for food, medical, or pharmaceutical applications. 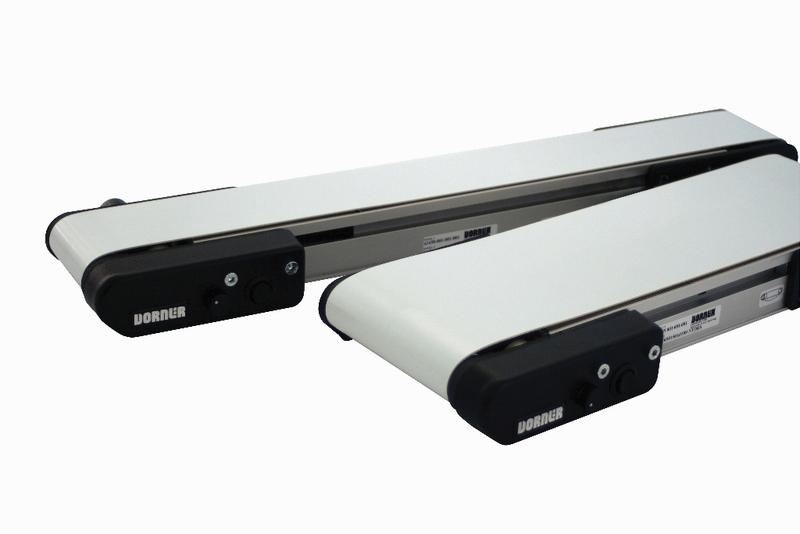 Chain conveyors are good for applications that call for product accumulation. Typically, chains have less friction than belts which is why using them from accumulation is ideal. For example, if you’re trying to move products to packaging stations where workers are hand-packing products you might want to consider a chain conveyor which would allow product to accumulate until they can be packaged. Another good application for chains are conveyor systems that requires curves. Because chain belts are more flexible they make curved systems easier. Chain belts can also carry much heavier loads than belt conveyors and deal better with a mass flow of products. Belt vs. Chain is not a good way of thinking when considering your conveyor application. A better way of thinking would be to consider what products you’re moving and what function the conveyor is going to be used for and then after you answer those questions see what belt material is best suited for that project’s needs. In some applications a belt might be the better choice and in others a chain might be more suitable. Really it’s not one or the other, it’s what technology works best for the current application you’re dealing with.